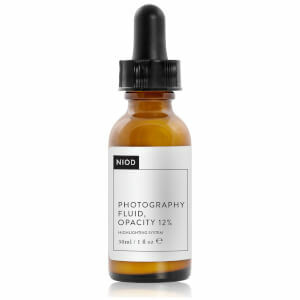 Achieve a subtle radiance with the NIOD Photography Fluid Tan Opacity 8%; a serum-textured skincare treatment that effectively balances light absorption with darker interference pigments for a hint of a natural looking tan. 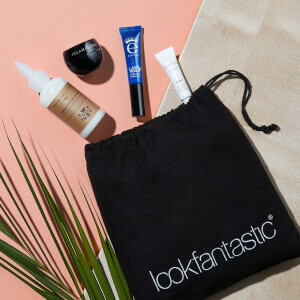 An advanced alternative to a tinted moisturiser. Utilising pioneering Suspension Technology, the formula contains bio-derivatives of Icelandic Moss and adaptive esters to suspend and spread ultra-refined interference pigments, resulting in superior skin compatibility and a more even distribution of colour coverage. Caramel Saccharides create a natural tan tone, while Bronze and Gold Nano-Prismatic Technologies allow for immaculate blending, adding a sheer hue that fades upon application with a residual shimmering finish for a healthy-looking radiance. Innovative Polymer Systems work to enhance hydration levels, colour stability and light refraction, visibly reducing the appearance of imperfections. As a result, skin appears more even and consistent, looking instantly flawless both in real life and through a camera lens. Applicare al posto del fondotinta liquido per ottenere un aspetto radioso e naturale con un tocco trasparente di abbronzatura. La formula può essere usata anche sotto, sopra o mescolata ai fondotinta liquidi se si desidera una maggiore copertura. Può essere usato insieme a PF, riflessione della luce 12%, per creare un effetto-contouring semitrasparente.